MS: Thank you for taking the time to speak with me today. Would you please tell us a little about yourself and your background in the industry? MMA: I have always been working in the watch industry. In fact, I could say that I was born into this industry because by father also always worked in the industry. He went to watchmaking school in Besancon, France. My grandfather was a watchmaker as well, so since I was a child, I have always been surrounded by watches. My father was also a collector of pocket watches, so obviously with that background, you develop a special relationship with the watch as an object…..a precious object. Given this, once I finished business school, I obviously wanted to enter this industry, and at that time the company I targeted to work for was Tag Heuer, because they had great knowledge and expertise in marketing and I did my business school specializing in marketing initially. I started with Tag Heuer in 1996 and worked there for four years at the headquarters, occupying different positions and responsibilities. Then in 1999, you will certainly remember that the LVMH group purchased a number of different Swiss brands like Tag Heuer, Ebel, Zenith and also Chaumet to develop a new division. It was also at that time that I was sent by Tag Heuer to Singapore to be in charge of marketing for the brand for the whole Southeast Asia region. The Tag Heuer subsidiary in Singapore then became the LVMH watch and jewelry subsidiary, leading all the different brands in the region. In 2001, I became the GeneralManager of the subsidiary, which gave me very strong experience in sales. In 2003, I was asked to come back to Switzerland to take over the position of marketing director for Ebel. 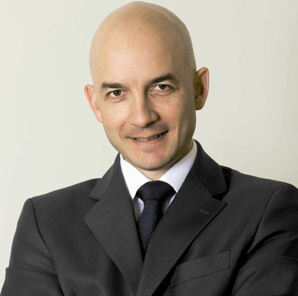 After successive terms as Marketing Director and Marketing Vice President, I was appointed President and Creative Director of Ebel in February 2009. Just a year later, I was asked by Ephraim Grinberg to take over the position of president of Concord. As you see, I have a lot of experience in this industry, and have always been fascinated by these objects. 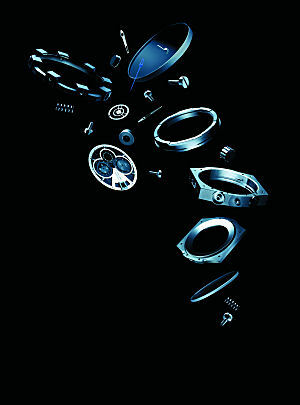 I have thegreatest respect for watches and everything related to them. It’s really part of my life. MS: Please tell us a little about Concord as a company, and some of what you feel are the key points in their history. MMA: Concord is a brand that was founded in 1908, and so it is a company which is now more than a century old. 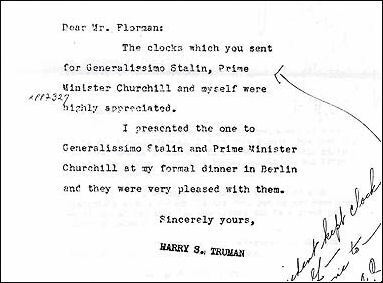 One of the key dates which is interesting in American history is that in 1945 at the Potsdam Conference, the US President Harry Truman gave Concord watches to Churchill and Stalin as presents. I think this is a great story and it shows the position and the profile of the brand at that time, and during the century. Another very important date is when the father of Ephraim Grinberg, Gedalio, took over the company in 1970. 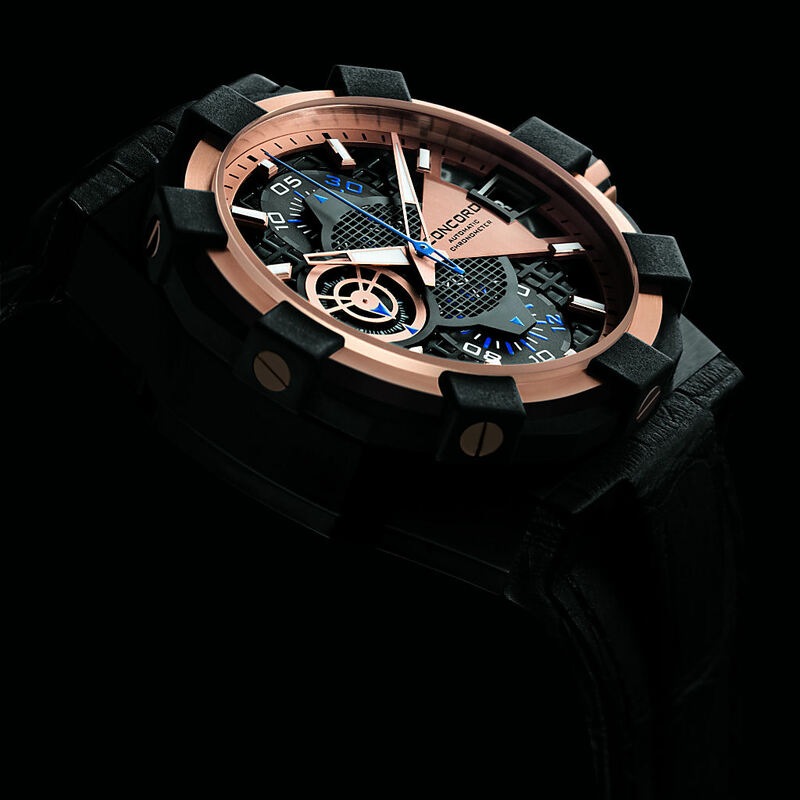 It was the first Swiss watch company that the Grinberg family purchased in the history of their family business. Another important achievement and milestone in the history of Concord is the launch of the Delirium watch that you certainly know well. It was in 1979, and at that time it was the flattest analog watch, with a total thickness of slightly less than 2mm. This was a really great achievement. Another important collection in Concord’s history was the Mariner, which was launched in 1980. It was also at that time that the second generation of the Delirium was launched. It was the thinnest skeleton watch. I think the wholeDelirium saga has been really critical to developing the profile of the Concord brand. It showed a lot of audacity and know-how, and it was a great experience to create such a thin watch. Another important collection for us is the Saratoga, which was launched in the mid-1990s, and also the La Scala collection launched in the late 1990s. In 2007, there was, of course, another very important milestone in the history of the brand. It is when, through the impulse of the Movado Group and also a new management team, it was decided to give a new direction and a new impulse to the brand by launching the C1 collection. We are trying to unify the image of the brand on a worldwide basis with one leading design and with a daring and audacious communication. 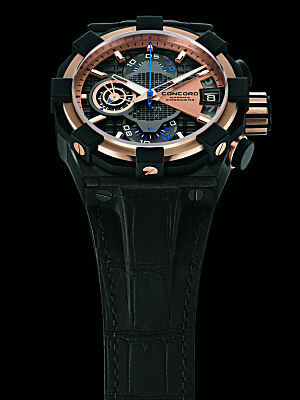 Vincent Perriard and his team relaunchedthe Concord brand with a very unique position. MS: Your closing comments are an excellent lead-in to my next question. Concord very much reinvented themselves with the development and launch of the C1 line, and they moved away from a lot of the other collections that they were known for, including the Saratoga and others you mentioned. What was the reason that the company decided to take such a dramatic step and such a significant change in direction? MMA: Of course I was not involved in the very beginning of the development of the C1 story, but I would say that the key goal for the management at that time was to unify the image of Concord under one unique roof. Concord had always been successful in three regions of the world, the United States, the Middle East, and Asia. In these three different regions, you could have three very different positionings of the brand. The way Concord was perceived in the U.S> was not necessarily the same way Concord was perceived in Asia, or in the Middle East. The idea was really to give a new impulse and a new dynamic to the brand, and to take this opportunity to come with one unique image and one unique leading product. Before, the three parts of the world did not have the same models leading the business. We wanted to have one unified communication and to put everything under one roof with a single image. That is exactly what was the driving force behind relaunching Concord at that time with so much audacity. The thing is that if you look at the C1 line, and you look at the Saratoga or the Delirium, you could believe that they are miles away from each other in terms of inspiration. I still believe that there are values which have always been very important for the Concord brand, and which have inspired the relaunch of the brand in 2007. It shows how a brand with a strong know-how, a lot of audacity, and a very unexpected design could go from trying to put together the thinnest watch possible to creating something truly unusual. 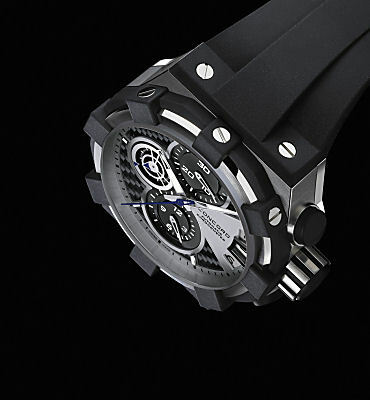 I think the team in 2007 which has put together the new strategy and the new positioning has really tried to use the same ingredients – edginess, audacity, modernity – in a watch design that was more in line with the trend at that time. 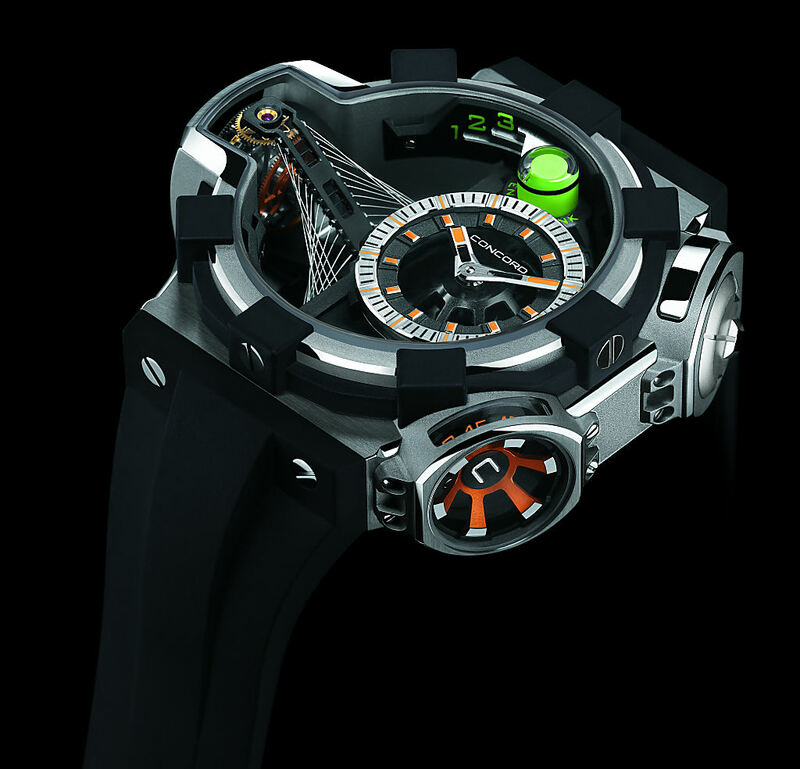 They created a new language in the way the case was constructed, in the way the strap is integrated into the case, the way to design dials, the way to create, with the C-Lab collection, very unique timepieces. Certainly not the same thickness as the Delirium, but behind it there is the same level of inspiration. MS: Regarding the company itself, can you tell us a little about the size of Concord, the number of watches you produce, etc.? MMA: The Concord team remains a small team. I would say that on a global basis, there are twenty to thirty people working for the brand. Of course it’s not a high volume brand in terms of units. We make a few thousand pieces per year, but we don’t give exact numbers. It is certainly a company whose purpose is to design and produce high quality, innovative watches, with high value in terms of quality of construction and quality of manufacture, and it is not our purpose at the moment to drive very high volumes with that brand. MS: Which are your largest markets currently? MMA: Currently, our key markets remain the Middle East, which is a very important market for Concord, together with Asia. The U.S. Market is also important, and another market which is very strong for us is Mexico. MS: Is there anything you would like to highlight for the TimeZone enthusiasts related to your current models or collections? MMA: I think the strength of Concord is to have created a very iconic model C1, which can be designed or replicated in a lot of different interpretations, depending on the movement, the materials used, the dial design, etc. The C1 design philosophy really allows a lot of different executions. Of course, within the C1 core collection, there is one very interesting model that we are currently introducing, which is the C1 MecaTech, which has a very sophisticated and highly constructed dial, which is a tribute to the complexity of the case design itself. I think it is a very powerful design. One of the strengths of Concord is that the case is immediately recognizable, but we also pay a lot of attention to the dial design. It’s a fantastic little machine, and I think a lot of collectors have become very demanding in terms of the way a brand must pay attention to the details of the dial design, and this is typical of what you can find in the design of the C1 MecaTech. Now of course, from a collector’s point of view, this is extremely important. Since coming on board at the beginning of this year, I have also been immersing myself in the world of the C-Lab collection, with the C1 QuantumGravity and the C1 Tourbillon Gravity. With these two very unique movements, it is simply fascinating. 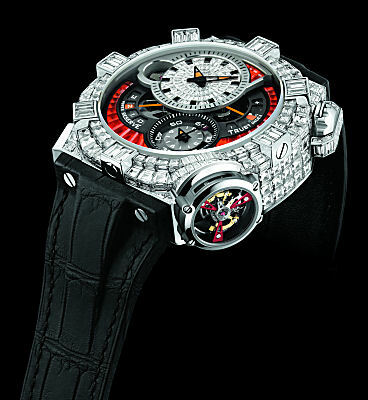 The movement and the design of the case have merged together to create a very unique object. It’s not that you had the movement on one side and on the other side you had some designers seeing how they could create a case that could fit the design of the movement. 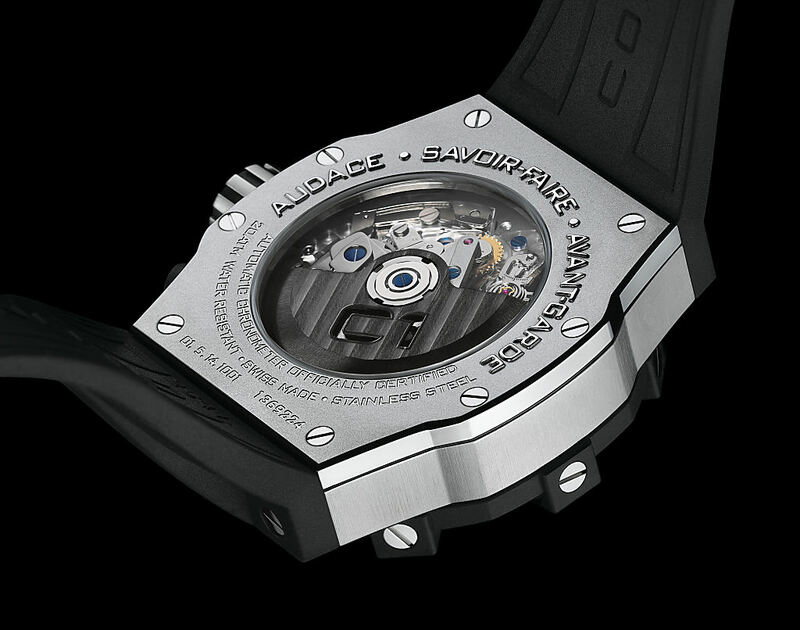 There were really two parallel works to make sure that the philosophy of the case design and the brand and these two very unique movements….that they found a way to merge these two realities into a timepiece that is really unique and looks like no other watch on the market. This is the spirit of the C-Lab collection that we hope to perpetuate in the future. MS: Obviously, some of the pieces collectors associate most closely with Concord over the past few years are the Gravity and Quantum Gravity. Given the recent news that the movement creator BNB has gone under, and given that you have collaborated with BNB on these pieces, what does that mean for the future of this particular collection? Do you have plans to build pieces like this in-house in the future? MMA: The first thing that was crucial was to make sure that, with the disappearance of the BNB company, we could put together and find the right partners to ensure the quality of after-sales service for the people who have purchased the Gravity or the Quantum Gravity. This was done pretty quickly, and now we can say that the servicing and the making of such highly complicated and technical pieces is guaranteed. So we have found the right partners and we have really put together the knowledge to do that. Now what is important is the future. This does not mean that without BNB there is no C-Lab story. On the contrary. There are plenty of people and companies in Switzerland of crazy inspired watchmakers with whom we can collaborate to maintain the C-Lab philosophy. Of course it will be hard to come back next year with something totally new because it’s very hard to, within less than twelve months, put together a credible and relevant new movement to be ready for Basel 2011. But the target is clearly by 2012 to be back with an exceptional C-Lab collection that will bring something new to the watchmaking world. MS: I am a big fan of watches that really aim to do something totally new and different, like the Quantum Gravity, or for example, the pieces that Max Busser is producing. MMA: I think Max is doing a great job, and that he is really talented. He always brings new ways to read time with a level of emotion which is really incredible. MS: You have spent some time speaking about the movements in pieces like the Quantum Gravity and the Gravity. A large proportion of TimeZone participants are extremely interested in watch movements and movement production. As such, companies that are making their own movements are generally given some special attention. Is there any intention for Concord to take additional steps towards producing movements in-house, and toward becoming a true manufacture? MMA: I would say that for the core collection, like the C1 Chronograph or the C1 WorldTimer, the C1 Big Date, we will continue to purchase movements from the movement companies. So this will remain the same. I think the place where we can really invest the time and energy of our product team is really in the C-Lab collection. Of course working in partnership with an independent watchmaker, or a manufacture like BNB was, may still happen. I don’t think that we will integrate 100% both the knowledge and the manufacturing capability within the company. This is not something that is in our plans. MS: Looking forward, what are your goals for the company over the next few years? MMA: I would say that the first goal of the brand over the coming years is to make sure that our customers, our clients, our distributors, the people selling Concord watches worldwide, are confident that we will continue with the same impulse and leadership which was started in 2007. With this as a transition year, one of our main goals is to reassure all the people selling Concord in the world that we will continue to invest in the brand, that we will continue to come out with new products, and that we will continue to maintain the spirit of the C-Lab collection. Those are all very important. 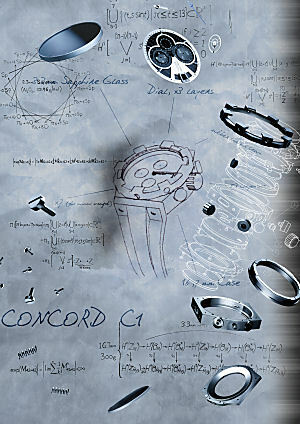 In terms of a vision over the next three to five years, I think Concord has a duty or mission within the watch industry, which is to create unexpected timepieces, not only within the C-Lab, but also within the core collection and to explore new ways of constructing watches and engineering watches. I think Concord is a daring brand with a daring spirit, which is really what we need to maintain to remain alive as a brand. I believe very much that Concord is a great watch brand and what people expect from us is to do things differently, and this is really what we need to do to remain alive and to perform. MS: Obviously, over the past couple of years, changes in the global economy have had a significant impact on the watch industry. Aside from the changes in the economic climate, what do you see as the most significant challenges for Concord over the next few years? MMA: I think the point you have raised about the economy is very important and has caused us to think a lot about how we are doing things. We have decided very recently, and this is a very important decision within Concord, to do a global re-pricing of the collection starting in June of this year. 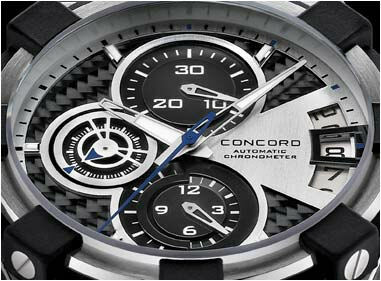 Prices of a Concord watch were simply too high after going through these very turbulent times and having consumers who are now more demanding about the value that they get from a watch. So they are more sensitive to pricing. This is never an easy exercise to do because you have to convince your retailers worldwide about the necessity. We have, and so we have repriced the collection to regain some attractivity and competitiveness which was needed. Again, consumers have changed, and today they expect more value for the same amount of money they would spend on a watch, and if you are not competitive pricing-wise, then it can become a very difficult and challenging to sell your brand. So this was a very important initiative…and for the new management, the most important one since we have been on board. It is always a bet when you do a re-pricing. It is a bet on how your retailers and distributors will react. In fact, we have been extremely pleasantly surprised by the support we have received. I think that with our new pricing, the price is now in line with the value of the watch, which may not have been the case coming out of the recession. MS: Your repricing is certainly interesting, especially in light of some recently announced price increases for a number of other brands. MMA: I think over the next year or so, you will see a lot of price increases because of the Euro depreciating against all other major currencies. I think you will see price increases for a lot of brands in areas where the watches are sold in Euros. MS: As we approach the end of this interview, are there any other things you would like to bring to the attention of the timezone.com visitors? MMA: I think we have covered a lot. The message I would love to give to all the TimeZone readers would be to continue to look at Concord as a brand, as a design inspiration, and as a laboratory to generate new ideas. Of course, as I mentioned before, there is a new team in place to refresh and relaunch the spirit of a brand that has so much to say and has such a beautiful history and a beautiful heritage. We still have a lot of things to say and to do with this brand. MS: We have a traditional closing question for these interviews. May I ask what watch you are wearing today? 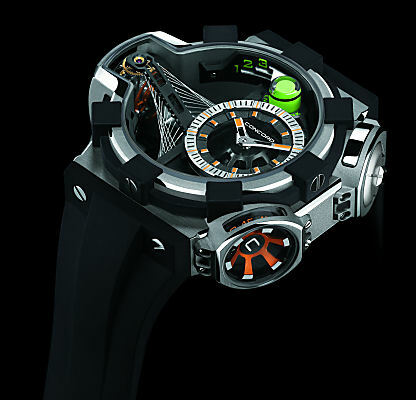 MMA: Today I am wearing a watch that we are about to launch, the C1 MecaTech, which I simply love. MS: Thank you so much for taking the time to speak with me today, and for your candor and openness answering the questions. MMA: Thank you for your interest and your support. 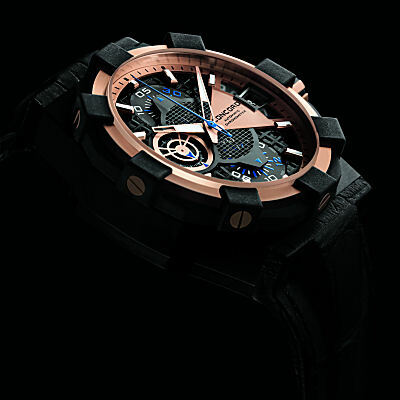 I hope that in the future we will prove to all watch enthusiasts that the Concord name and the Concord philosophy can generate very strong and interesting watches.